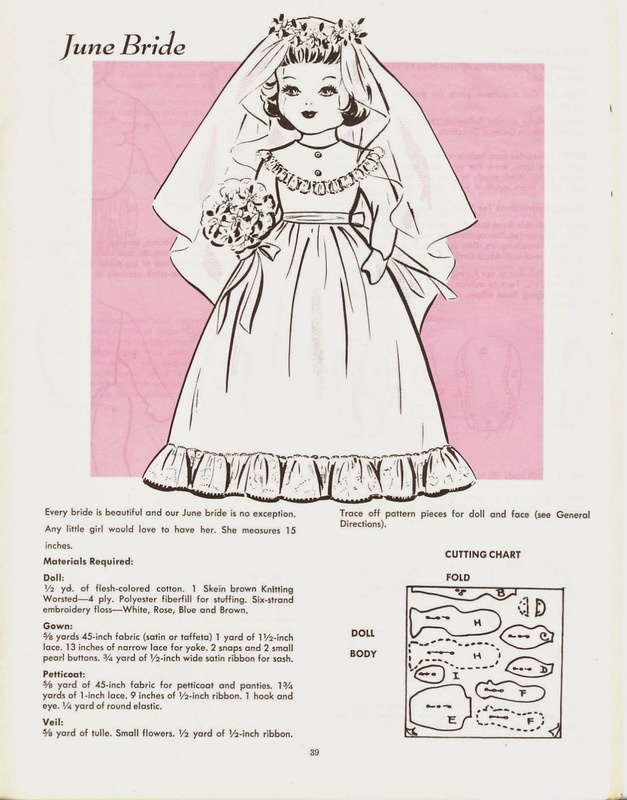 June Bride is a 15" cloth doll from the booklet "Dolls Old and New," which includes several cloth doll patterns. 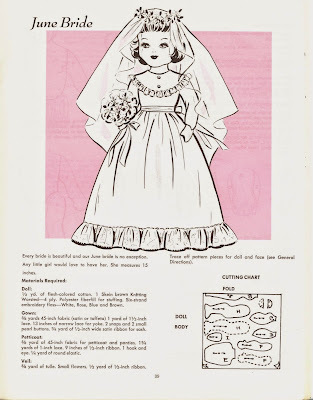 There is no copyright date or publisher's name on the booklet, but it appears to have been printed circa 1970, though individual patterns may have been offered at an earlier date. 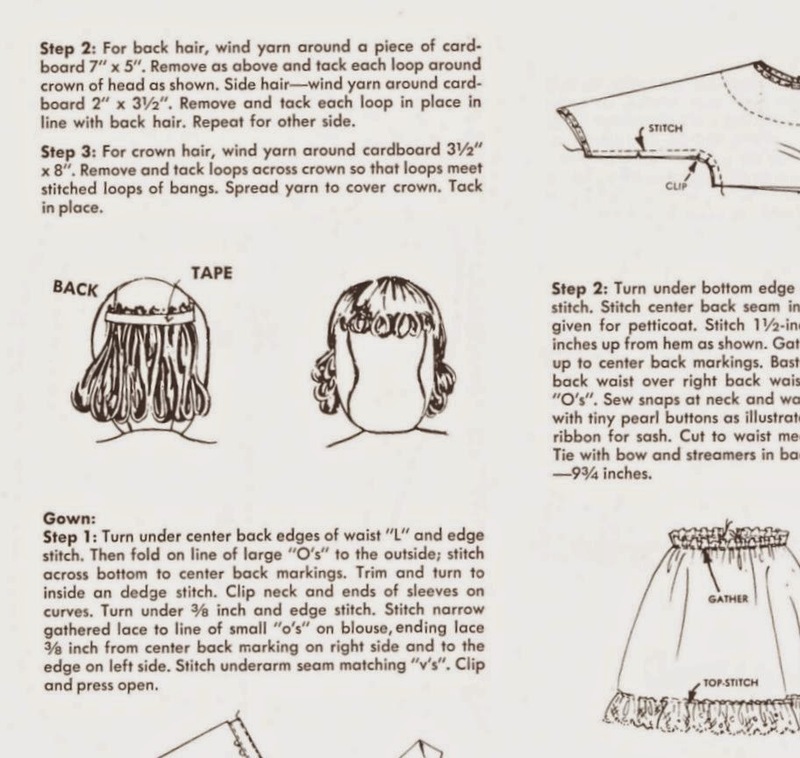 This may be a publication of Reader Mail, Inc., the company responsible for Laura Wheeler, Marian Martin and Alice Brooks patterns, among others. June Bride is a baseball-head doll with attached ears. Her arms and legs are sewn in place so she cannot sit. 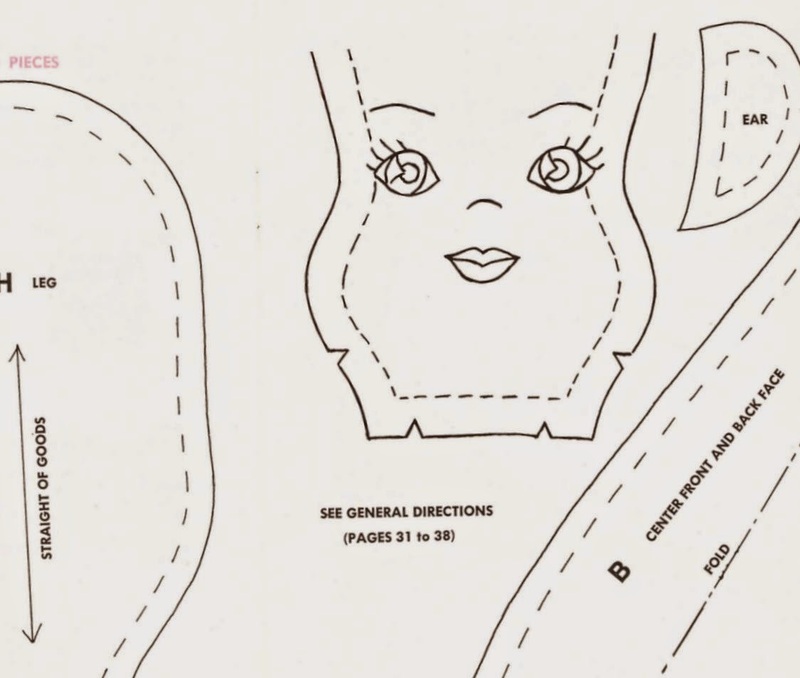 Her facial features are embroidered after stuffing. Her hair is worsted weight yarn. She has mitten hands and flat-soled feet. June Bride's wedding gown is a very simple one, with the bodice and sleeves all of one piece. The bodice is trimmed with lace and buttons to give the illusion of a yoke. She has a veil, petticoat and bouquet, but no underpants or shoes. June Bride would be a nice doll to display a miniature-sized version of your own wedding gown.